As the president of Serbia negotiates energy and trade deals in Moscow, the US foreign policy establishment plots to “finish the job” in the Balkans, and already dominates the country’s media space. 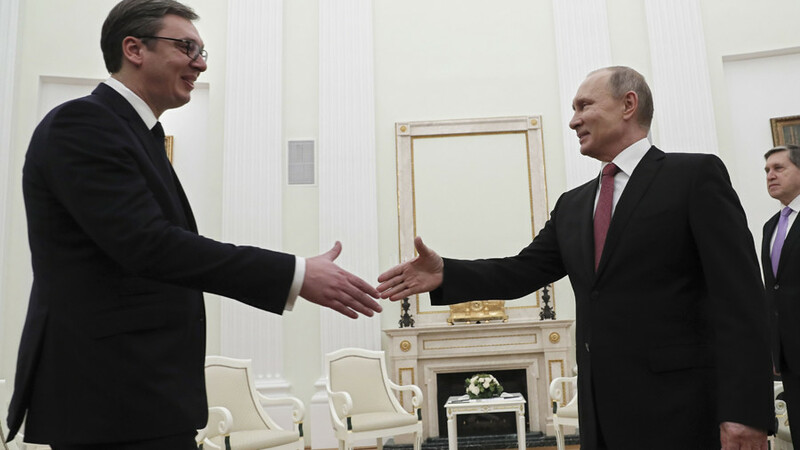 Serbian President Aleksandar Vucic sought to bolster his patriotic bona fides by meeting Russian President Vladimir Putin on Tuesday. They reportedly negotiated Serbia’s access to Eurasian Union markets and Russian oil and gas. 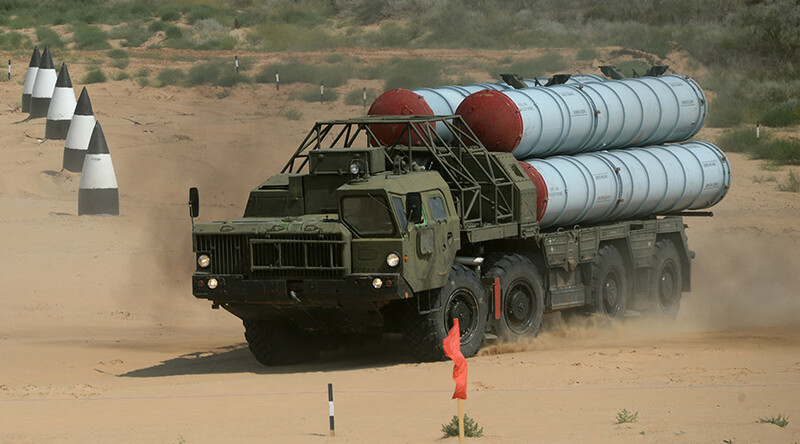 Vucic hinted at buying Russian transport helicopters but dodged questions about the rumored deal for tanks and armored vehicles, or the S-300 air defense systems. Hoyt has since become the US ambassador in Macedonia, Serbia’s southern neighbor whose government is effectively a client of Washington. 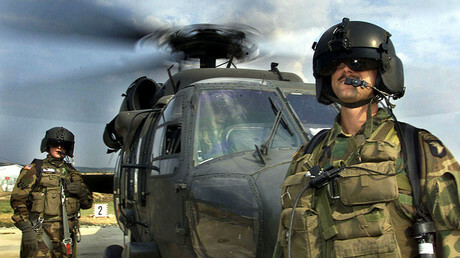 Bosnia-Herzegovina to the west is a de facto EU protectorate, with a NATO membership plan, while the renegade province of Kosovo ‒ occupied by NATO in 1999 and declared independent in 2008 ‒ hosts the largest US military base in the region. All the other neighbors are already members of the alliance that waged war on Serbia in 1999. 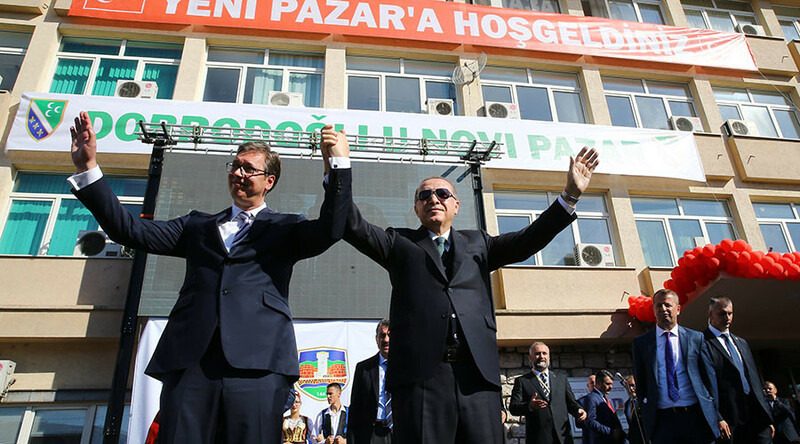 Vucic rose to power in 2012 as a client of the West. Formerly a senior member of the Serbian Radical Party, which had languished in the political wilderness since the October 2000 color revolution, he rebranded himself as a “progressive” and ousted the Democrats from the US-sponsored ruling coalition. The PR consultancy that made this possible was Bell Pottinger, a UK-based outfit that once made fake terrorist videos for the Pentagon and recently shut down after a South Africa-related scandal. “Belgrade can and should be a close partner and ally in the region, but it can only become one if it begins to meaningfully distance itself from Russia. This is not a trivial pivot for Serbian leadership, but neither should it be something on which the United States or the EU should compromise,” the report’s authors wrote. On December 11, the Council on Foreign Relations listed the Balkans as a potential area of conflict for the first time in years, in the 2018 survey published by the think tank’s Center for Preventive Action. Several news outlets in Serbia have reported that Washington is planning to establish a “media center for battling Russian disinformation” in Serbia, run by NATO and funded through the Atlantic Council, the German Marshall Fund, the National Endowment for Democracy and US European Command (EUCOM). Yet there is no real need for such an outfit since the US and NATO have exercised dominance over Serbia’s media space since 2000, whether through local proxies or outright. The perfect example is N1, a CNN affiliate established in 2014 to cover Serbia and neighboring Croatia and Bosnia-Herzegovina. N1 is owned by the KKR Global Institute, a branch of a major US investment firm chaired by none other than the former CIA chief and retired US General David Petraeus ‒ most recently seen getting a slap on the wrist for giving classified documents to his biographer and paramour. In March this year, N1 was placed at the “top of the dial” by the cable operator SBB. Though that may seem innocuous to US cable customers, it was jarring for Europeans used to having their public broadcaster in that spot. To the surprise of precisely no one, SBB ‒ one of the largest cable operators in the lands that were once Yugoslavia ‒ is also owned by KKR Global. Other parts of KKR’s media empire include the sports and movie channels Sport Klub and Cinemania, and the music production house Grand. Earlier this month, N1 drew scrutiny when it “ambushed” an immigrant charity worker who had been providing aid to the besieged Serbs in Kosovo for years. The French-born Arnaud Guillon said the network spent just three minutes talking about his humanitarian work, and the rest of the time attacking him as a nationalist and “identitarian” based on his political views as a student. “I often had to defend myself in France from questions about the aid we give to the Serbs in Kosovo. I honestly didn’t expect that I would have to do so in Belgrade,” he said after the interview. 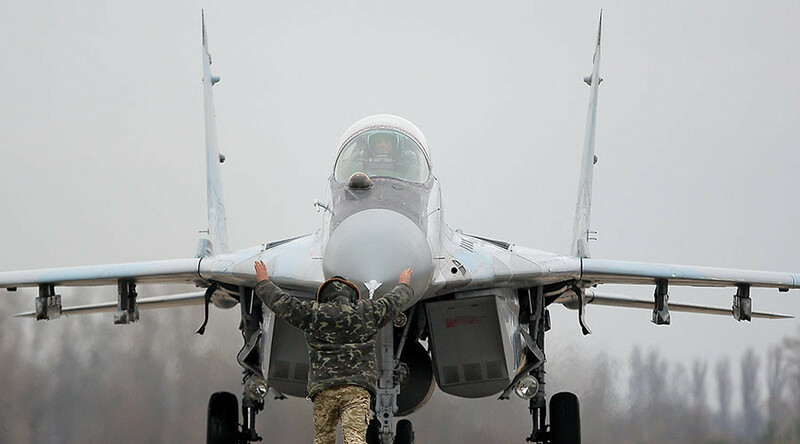 Though the six MiG-29 fighters sent by Russia in October can help replace the losses from the 1999 NATO attack, there is nothing they can do against this sort of media war inside Serbia itself. 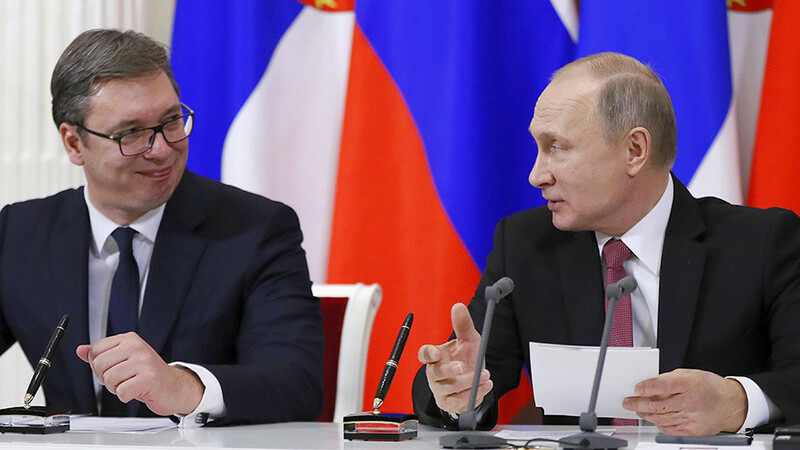 While Moscow treats President Vucic as a credible partner, he reportedly said he was “satisfied” with the Atlantic Council’s proposals and wished they would become official US policy. Having previously conducted an “internal dialogue” with himself on the topic of surrendering the Serbian claim to Kosovo ‒ in the pages of Western-owned newspapers, no less ‒ he now says he’d be happy to hand the issue over to Russia for mediation. Embittered Serbians might say that Vucic is setting up Moscow to take the fall on Kosovo so he can finally do what he wants and cave into Washington’s demands. Given Serbia’s ongoing political and media vassalage to the West, it’s difficult to argue they’d be wrong.